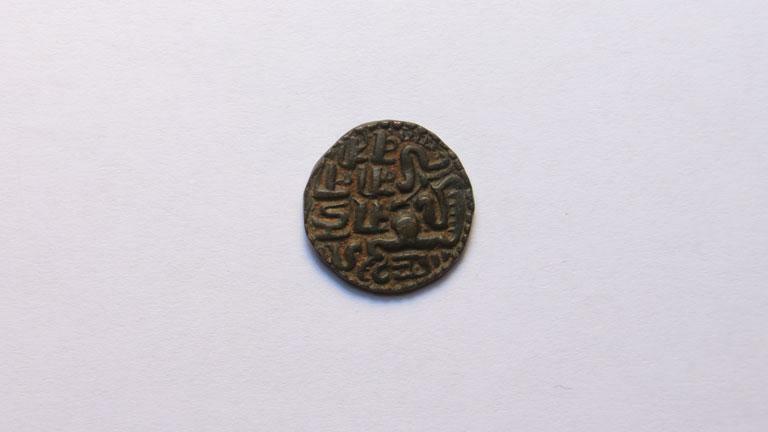 The coin was used during the period 12th C to 13th C CE. 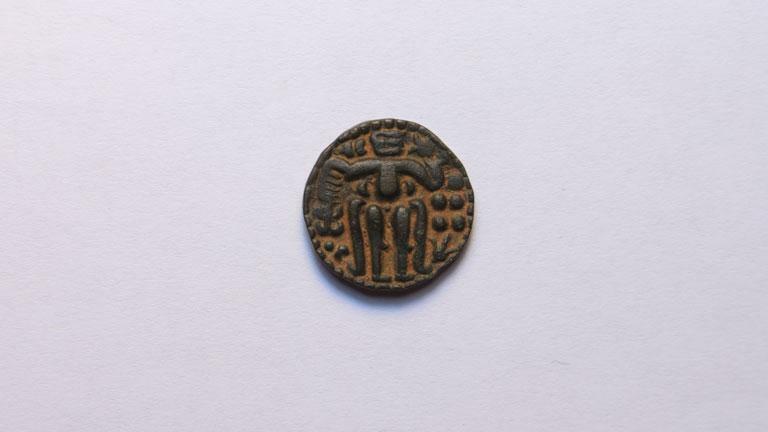 Raja Leelavathu, Chief wife of Parakram Bahu D Obverse: A standing figure of the King with head facing towards the right is depicted. The left hand holds flower while the right arm is extended outwards. Lamp is visible on the left and pellets on the right field. Reverse: A seated figure of King with left arm raised and the right arm resting on the right knee is visible. On the right Nagari inscription Raja/Leela/Vathi is depicted.